Choosing the best child care centre is one of the most important decisions a parent has to make. Your child needs the highest standard of childcare and education as these would have a huge impact on your baby’s brain development. You want a childcare centre with fun-filled activities and enjoyable learning sessions that will help your child develop social intelligence, build relationship with their peers and teachers, and learn the necessary skills for big school. With plenty of childcare centres in Blacktown and surrounding suburbs, which child care Blacktown centre do you pick? Out Berry Patch child care centre near Blacktown offers the best quality childcare services for children aged 6 weeks to 6 years. Guided by the Early Years Learning Framework, we are committed to helping your child achieve their potential in a fun and secure learning environment. To learn more about our play-based preschool program, you may also call us on (02) 9896 2662 or email us at megan@berrypatch.com.au. You may also visit us at Unit 38/2-4 Picrite Close Pemulwuy which is only a short 15-minute ride from Blacktown. Our Blacktown childcare centre is open Monday through Friday from 7:00 am to 6:00 pm. 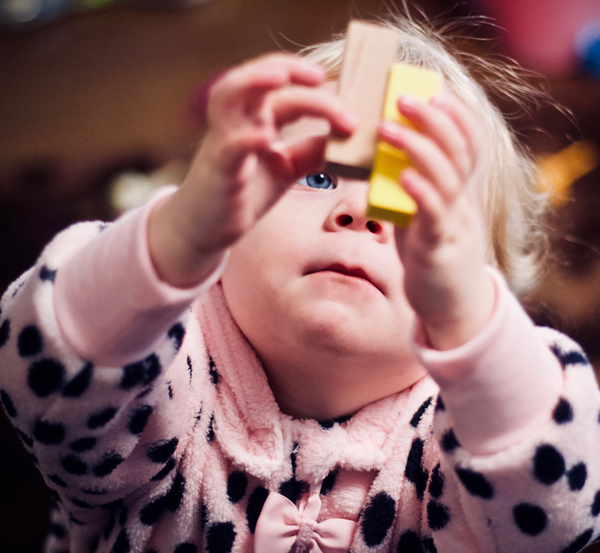 Childcare centres in Blacktown offer different childcare service with several unique features. What sets our Berry Patch Child care centre near Blacktown apart is our play-based curriculum that puts emphasis not only on what lessons children learn and how they learn it. 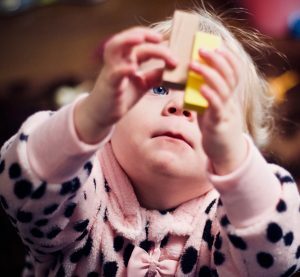 At the heart of our curriculum are activities that focus on learning through play, as play is how children make sense of the world around them. It is through play that they acquire a good sense of their abilities and have fun while learning. Our play-based curriculum is facilitated by educators trained in early childhood education and at par with the National Quality Standards. We our guided by the Early Years Learning Framework in our goal of teaching every child to be curious and empathetic as they transition towards big school. 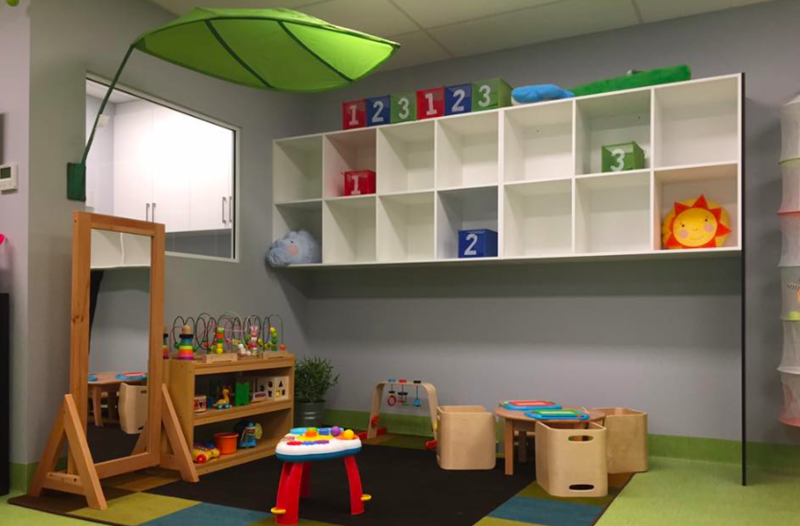 Our Blacktown childcare centre facilities puts exploration and sensory play in its philosophy. Our indoor and outdoor environments are designed to encourage kids to explore. We have three playgrounds in our outdoor area with age-appropriate climbing structures and obstacle courses. Your child will be protected by waterproof shade sails as they go about playing and socialising with their peers. Other features include footpaths, stepping stones, grass mounds as well as timber decking, artificial grass and soft fall. Age groups have their own play areas. These age groups are Baby Berries (0-2 years old) and Raspberries (2-3 years old) who have a downstairs play area as well as Blueberries (3-4 years old) and Strawberries (4-6 years old) with a spacious play area upstairs. If you are looking for the best child care Blacktown, choose Berry Patch child care centre. Visit us at Unit 38/2-4 Picrite Close Pemulwuy for a tour. You may also call us on (02) 9896 2662 or email us at megan@berrypatch.com.au.